It was bound to happen! 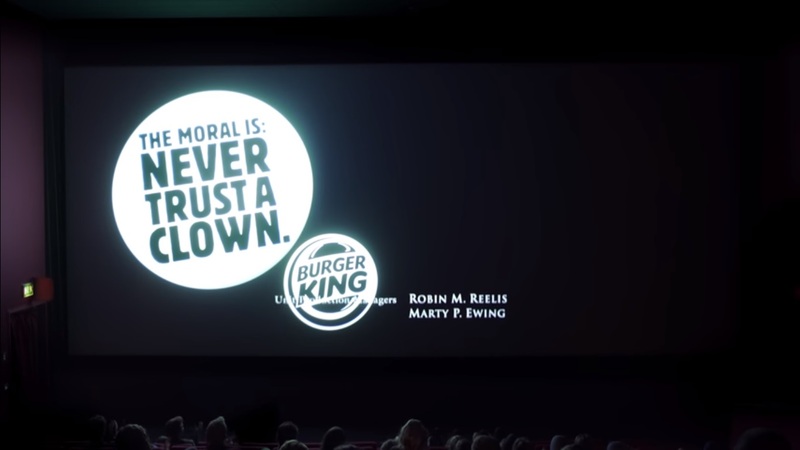 Burger King just tuned horror film "it" into one of its longest ads. During the German pre-premiere, they inserted their logo right before the credits effectively warning the public #nevertrustaclown - which basically makes the whole movie a way to make McDonald's (and their mascot Ronald McDonald, the clown, a pretty scary experience.